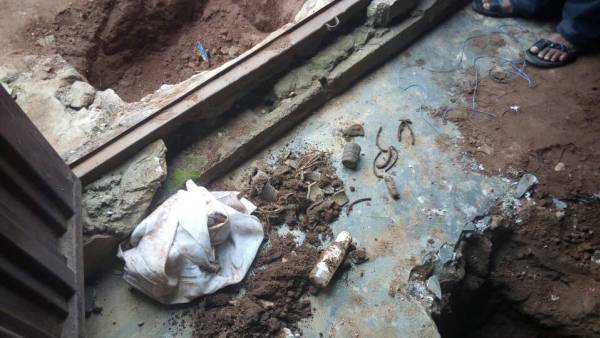 The Ogun State Police Command has discovered a church under which human parts were allegedly buried. The parts were allegedly buried at the church’s entrance and other locations within the premises. The Commissioner of Police, Ahmed Ilyasu, made this known on Wednesday after detectives stormed the church to arrest the pastor of the church. The church, Cherubim and Seraphim is located at Itedo Isinmi along Egan road in Iyana Iyesi area of Ota, in Ado-Odo/Ota local government of the state. 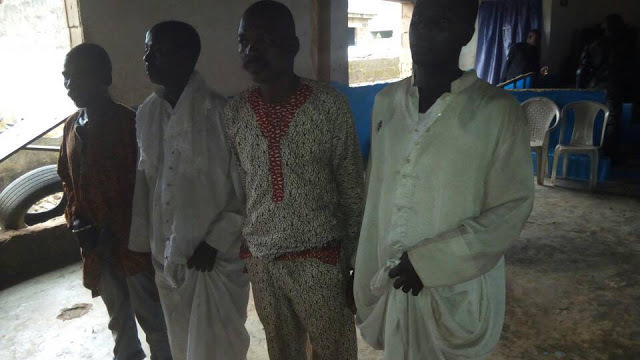 Mr. Ilyasu while parading a 77-year-old prophet of the church, Samuel Babatunde, alongside other suspects, told journalists that the discovery followed the arrest, on Saturday, of a suspected serial kidnapper, Jeremiah Adeola. The police boss disclosed that Mr. Adeola (32), was known to specialise in the kidnapping of children for onward transmission to the prophet and had already confessed. He said another herbalist, Haruna Afolabi (43), was among the suspects. Mr. Ilyasu said the police command will conduct a forensic investigation to ascertain more details. The arrested cleric, while speaking with journalists, denied the allegation levelled against him saying that he buried a pig inside the church contrary to claims that human parts were used. He said he used the parts of the pig to attract good fortune to his church. He said he met the other suspect, Adeola at a prayer mountain in Ibadan, the Oyo State capital, but never had any ritualistic dealings with him claiming he (Adeola) was mentally deranged. However, contrary to the cleric’s claim, Mr. Adeola insisted that the cleric was a client and recently paid him N50,000 each for the two children he supplied to him. He also said one Olaniyi, at large, introduced him to the business of kidnapping in 2013 in Ibadan.